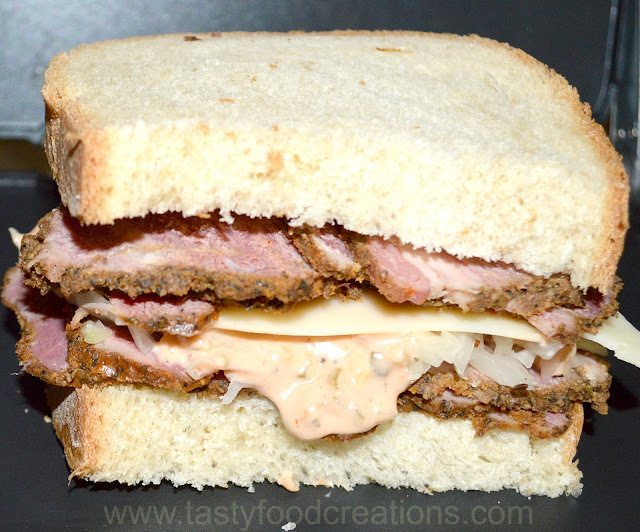 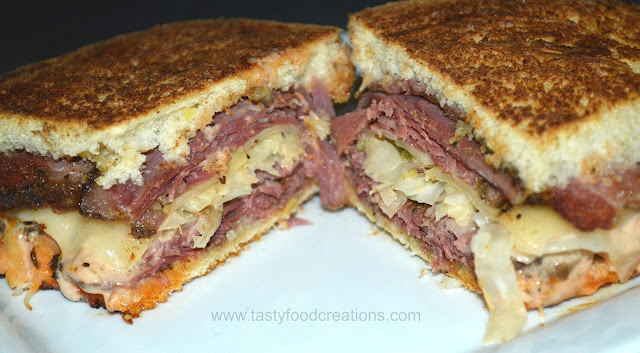 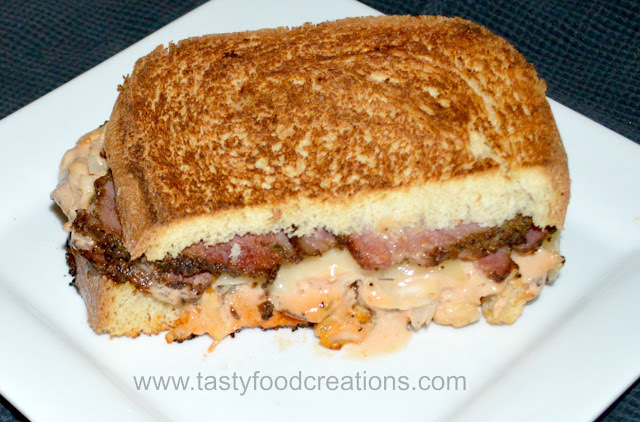 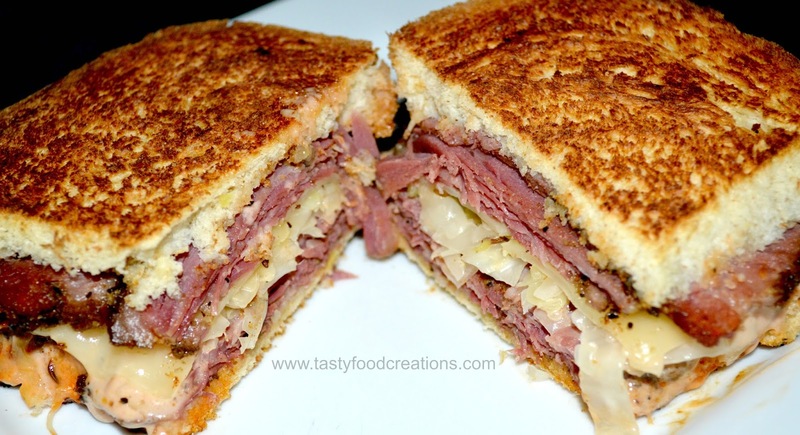 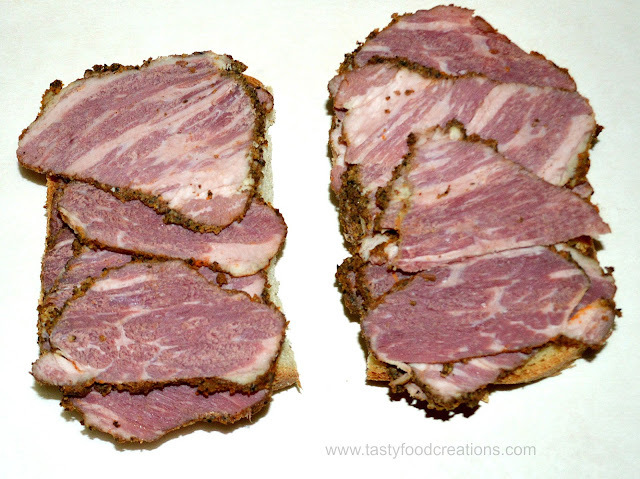 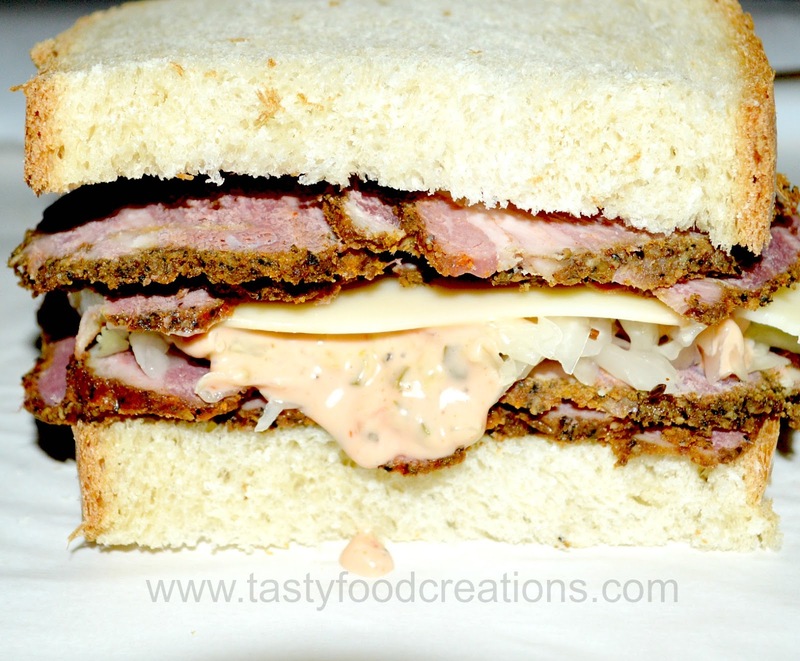 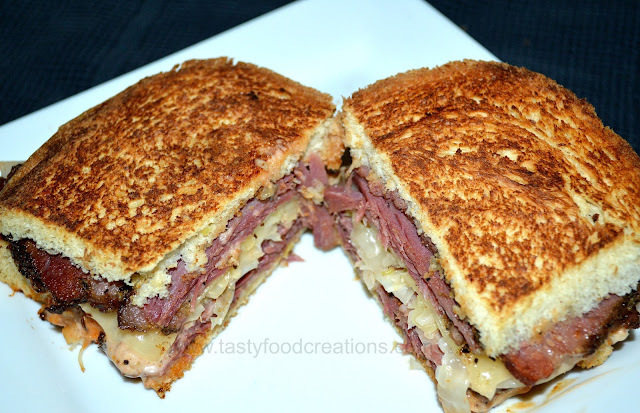 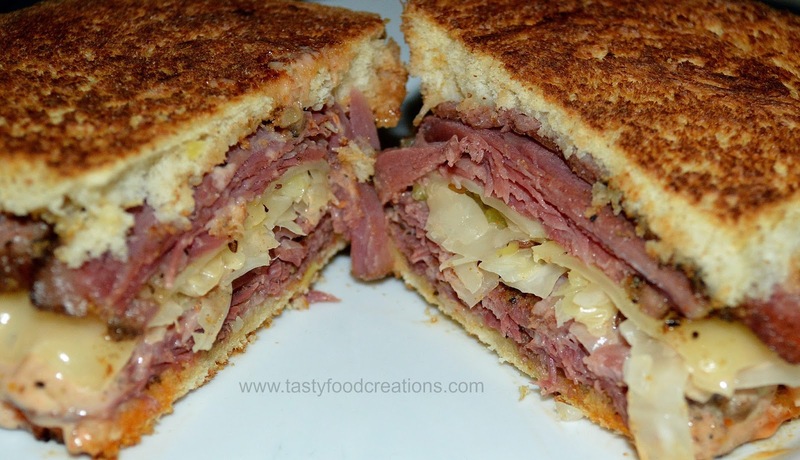 Arrange sliced corned beef on both slices of bread. Top one side with sauerkraut and the other side with Swiss cheese. 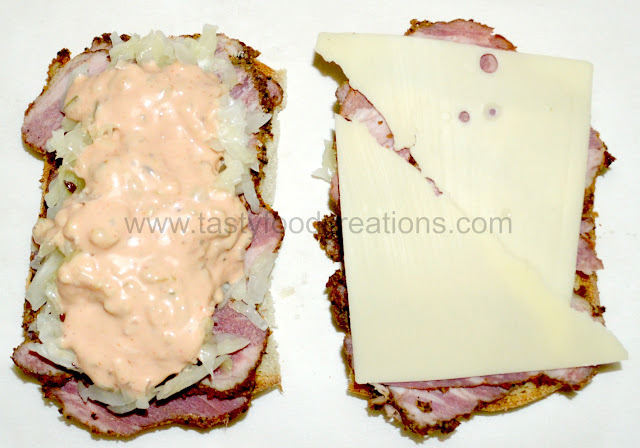 Top sauerkraut with thousand island dressing. 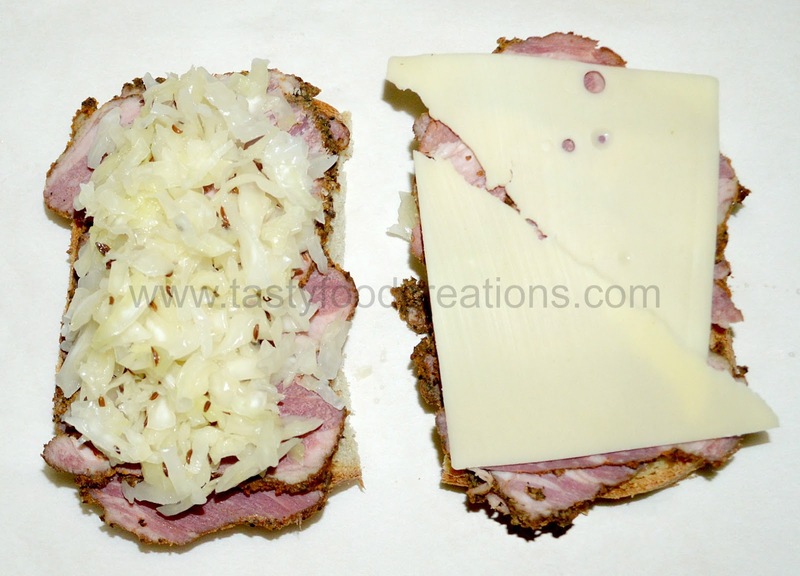 Cook on both side until cheese melts.